Do you need trackable web visits with a low bounce rate? 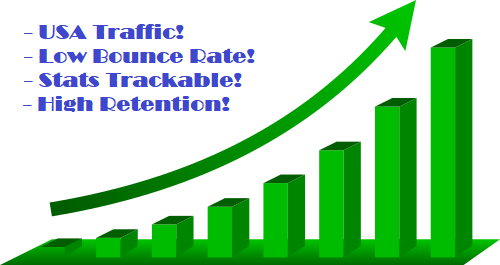 Get 1000 web traffic visitors to your website or link that are fully trackable in Google Analytics (GA) or any other third party tracker, such as Statcounter, Histats, etc, for only $5!! See extras if you need more than 1000 visits. NOTE: I do not accept adult links or urls that serve malicious content. If you're not sure your link is ok, then let me know before ordering. Low Bounce Rate USA Google Trackable Web Traffic is ranked 5 out of 5. Based on 2 user reviews.